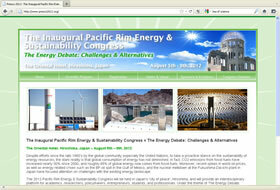 Site promoting the Inaugural Pacific Rim Energy & Sustainability Congress, held in Hiroshima. Excellent! All of our questions and requests were handled promptly and professionally.